Care for and guide teens and young adults in their spiritual formation through sports ministry. Coordinate and lead outreach sporting events, informal and formal sports leagues, sports camps, and recreational activities that appeal to teens and young adults. The format may include one-on-one coaching plus formal and informal Bible studies in large and small group settings. Use your ability to understand and communicate Biblical truth in a clear and relevant manner so teens and young adults understand and apply lessons. Develop and nurture relationships both inside and outside the church as you share the love of Christ. 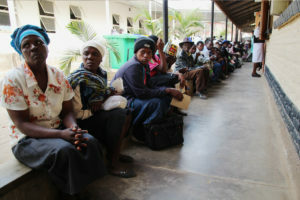 Will be working with ANESU initiative, a compassion ministry to people infected, affected, and at risk by HIV/AIDS.